kiran ravilious blog: Wallpapers and fabrics are here!! 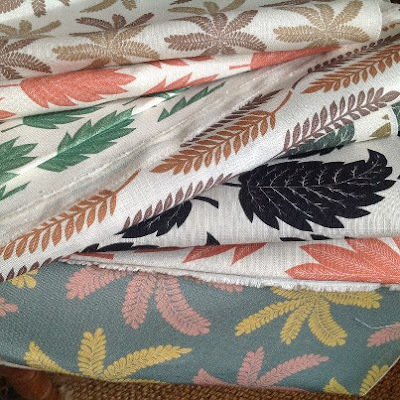 Wallpapers and fabrics are here!! 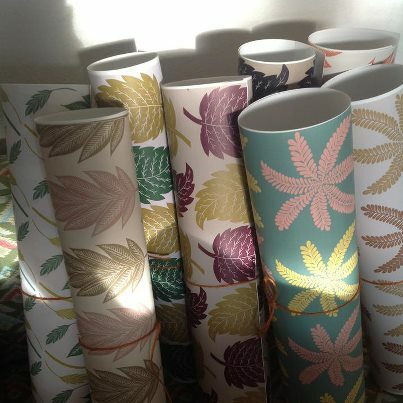 My delivery of wallpapers and fabrics finally arrived last week. I was delighted when they arrived. 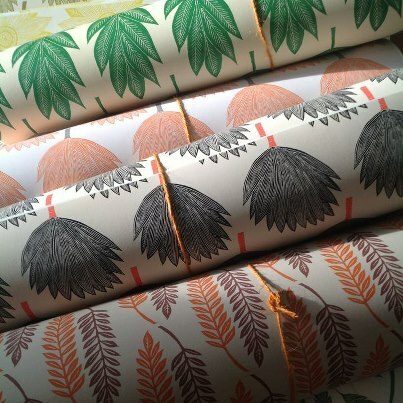 All the colours, the lovely texture of the linen, the nice matte feel of the wallpapers....and seeing my work in repeats... After much worrying, I think things are finally beginning to settle in my head and I'm preparing for Home London in January. I'm excited and nervous about it. Excited as it's my first big trade show and nervous because I'm going to be putting my work out there to buyers. Pretty scary really, thinking about it. 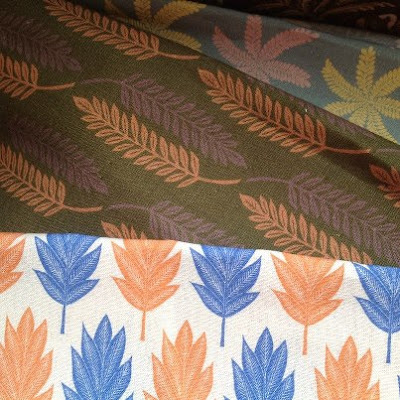 Here's a glimpse of what my new designs look like. I'll be adding them to my website in the new year. 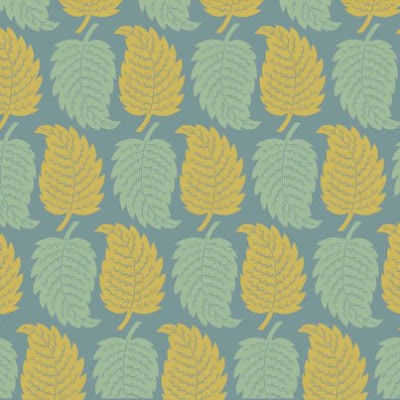 I've just sent this design off to the printers to have it printed on thick fabric to upholster a seat. I'd love to hear what you think. This is a new direction for me and like I said, I'm so nervous! And also curious to what people think so far. Sorry the photos aren't too great! I'm excited for you! These are really beautiful! They're all gorgeous. Not a single design that I don't like. Look forward to seeing them up for sale and have no doubts you'll have great success with them.